3 Bedroom End of Terrace House For Sale in Huntingdon for Guide Price £220,000. 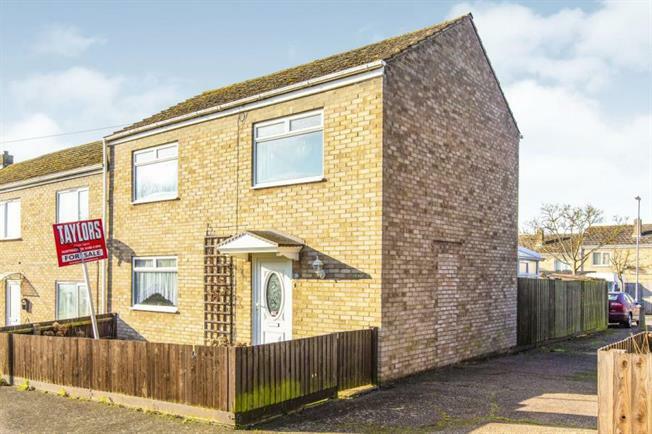 Taylors Estate Agents are proud to offer a spacious three bedroom house. Internal accommodation comprises; entrance hall, kitchen, lounge,conservatory, , Upstairs offers a further two double bedrooms a single bedroom with family bathroom. Outside the property boasts an enclosed rear garden with a gated driveway. UPVC double glazed window and door to rear, fitted with base and wall mounted units, work surfaces, sink and drainer, tiled splash backs, integrated double electric oven and hob, cooker hood, plumbing for washing machine, under stairs cupboard currently housing fridge/freezer, pantry cupboard, radiator, ceramic tiled flooring. Currently housing tumble dryer and chest freezer. UPVC double glazed obscured window to rear aspect, fitted with pedestal wash hand basin and bath with power shower over , fully tiled walls, heated towel rail, ceramic tiled flooring, under floor heating.